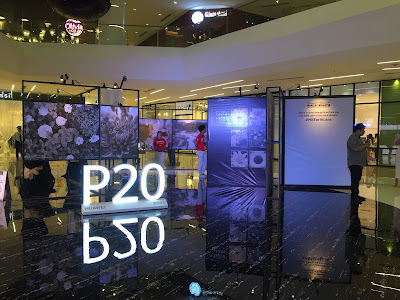 Mr. Binggoy Mauricio, SEPCO HHP Business Unit Director said, “Last year at IFA, we launched the GALAXY Note, which opened a new category of smart mobile devices. This year, again at IFA, I am proud to announce the GALAXY Note II, which will encourage users to 'unleash their inner creativity.’ With a perfect viewing experience and unique and differentiated features, users can discover information and capture their ideas faster, express thoughts freely and manage tasks more efficiently. For anyone who wants to be creative, expressive and unique, the Samsung GALAXY Note II will be the ideal device, allowing users to live a life extraordinary”. 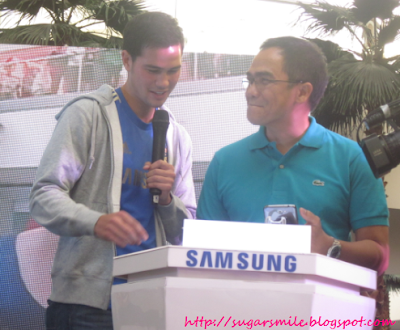 And indeed, the Samsung Galaxy Note II experience will be superb for you. Because since the first introduction of the GALAXY Note category, Samsung has continued to enhance and expand the GALAXY Note products. They now have the Shape Match and Formula Match where you can fully express how you manage your personal and professional life. 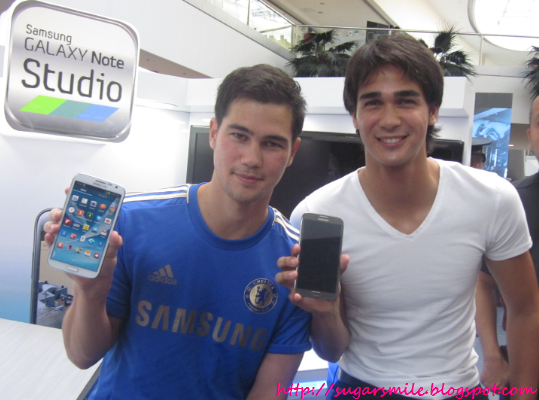 Aside from that, the Samsung Galaxy Note II has a larger screen where its easy for you to unleash your creative juices. One more thing to love about the Samsung Galaxy Note II is the new S Pen, a longer and thicker version. Because of its new design, you can definitely have a perfect grip and makes writing more intuitive and easy. Adding to it is the Air View, where it allows users to hover with the S Pen over an email, S Planner, image gallery, or video to preview the content without having to open it. Its a quick access to search and view more information in detail without screen transitions. Fab isn't it? For multi-taskers like myself, I can work with multiple windows on one screen with Galaxy Note II. When you have to complete a task in one application, load another application on the screen and you wouldn't have a problem. Multiple applications are stacked on the screen like multiple windows that you can easily switch among applications. 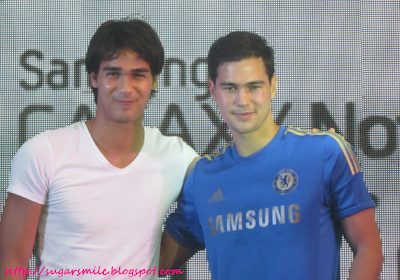 And just like the Younghusband brothers, the Samsung Galaxy Note II is mighty powerful with its latest hardware technologies. Its 1.6GHz Quad-Core processor and HSPA Plus connectivity delivers easy multitasking, lightning-fast screen transitions, powerful browser performance, and minimal app load time. 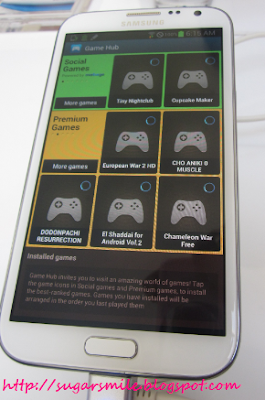 It is powered by Android™ 4.1, Jelly Bean OS that brings stunning graphical capabilities. They are available in Ceramic White or Titanium Gray color options. 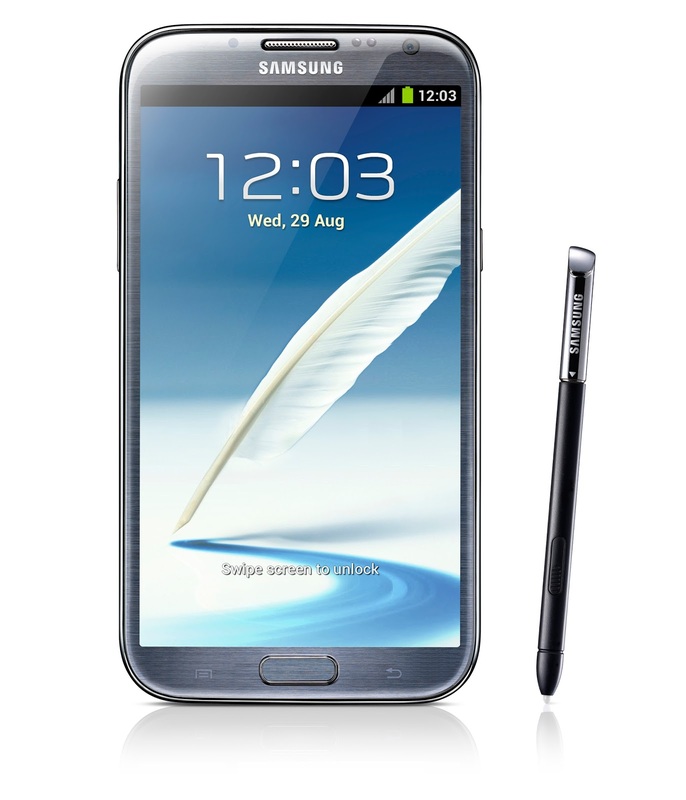 These and more, the Samsung Galaxy Note II lets you express your creativity, while having a work-life balance. Days like these, isn't that what we're always looking for? More importantly this Christmas season!